THE Box Office is pleased to announce the launch of 2017/18 Hoops Memberships. Being a Hoops Member is your way to join the team. 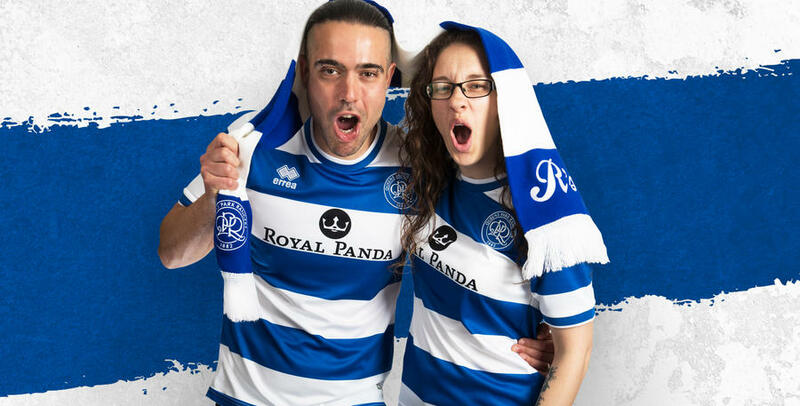 With access to exclusive ticket pre-sales and discounts, offers at the QPR Superstore and exclusive merchandise available to both adult and junior members, you’ll be all set for the new 2017/18 season ahead. Following the success of our new Direct Debit finance option for the 2017/18 Season Ticket campaign, the club are delighted to announce the launch of the 2017/18 Membership Direct Debit option which automatically opts supporters in for seasonal renewal. Please note that this is not a finance option with the cost of your membership spread across a period of time. The amount payable for your selected membership will be debited and will automatically renew once expired unless the club is contacted otherwise. The club will contact supporters with renewal information at the end of each season and you will also be notified of the new amount and date of collection at the start of each renewal period. If you do not wish to renew you must inform the Box Office. The Club will also be using a new fulfilment partner this season to ensure a smoother process from purchasing your membership to receiving your exclusive membership pack than previous seasons. A new feature for the 2017/18 season is PackTrack. PackTrack allows Hoops members to track and manage their membership pack as it moves from our new fulfilment house to their front door. All you have to do is simply type your Membership Number into the online portal to be told exactly where your membership pack currently is – it’s that easy! You can find PackTrack once logged in at myqpr.co.uk HERE. Please visit www.MyQPR.co.uk for full list of benefits and prices. Click HERE to join the team today. Please note, Supporters who are renewing their membership are reminded that your current 2016/17 membership card will be activated for the 2017/18 season. To confirm, members will not receive a new membership card unless you purchase a different membership type of that you had for the 2016/17 season. *Domestic market is defined as UK, Northern Ireland, Republic of Ireland, Channel Islands and Isle of Man, with International being all other countries. **As an example of how many fixtures this could include, during the 2016/17 season QPR were shown live by Sky Sports or an overseas broadcaster on a total of 13 occasions meaning that 33 matches would have been eligible to live stream via a QPR+ Pass. Supporters are advised there will be a £3.50 administration fee charged per transaction when purchased online and over the telephone.